EMME 2019, 27-31 October: Save the Date! The 4th edition of the Euro-Mediterranean and Middle East Summer School for Science Communication, EMME 2019, will take place 27-31 October in the capital of Kuwait, where it will be hosted by The Scientific Center of Kuwait (TSCK), one of the first science centers that began operating in the Middle East almost 20 years ago. EMME 2019 targets professionals from science centers, science museums, and other science engagement organizations who have aspiration, ability, engagement, and agility to learn and grow, and who are focused on taking their team and organization to the next level of learning, growth, and relevancy. This training opportunity seeks to develop field professionals from different disciplines in all areas of science center/museum and science engagement organizations management. Whether they specialize in programs or exhibits development, education, marketing, or finance, employees will find the training particularly helpful for their careers and success as potential science center leaders. EMME trainers and facilitators will be experts from leading European and Middle-Eastern science engagement organizations with a long-standing practice. EMME is an ongoing collaboration between Ecsite and NAMES networks and a group of their members; it provides an opportunity for meaningful and in-depth networking between professionals from the two regions. EMME is thus an optimal opportunity for exchange of knowledge and expertise within a stimulating and educational environment. For information about previous editions, click here; details regarding the next edition will be shared within the coming weeks, so stay tuned! Following the successful implementation of the Design Squad Global Clubs (DSGCs) by AlNayzak Organization in 2018, the initiative is now available for implementation among interested members under the coordination of AlNayzak. DSGCs is extremely engaging, interactive, and entertaining for participants, 10-13 years old. Most importantly, it is a good learning opportunity, offering a new methodology of thinking, in addition to connecting participants to peers from across the globe, giving them international exposure and a diverse experience. As of 2019, NAMES members will be working together to benefit from each others' experiences through an Exchange Internships/Trainings Program, which offers practical knowledge to science centers/museums staff members in a diversity of fields; such as: design and implementation of summer and winter camps, school programs, visitors’ relations, volunteers' management, animal handling, development of hands-on interactive programs, early childhood development, among several others. Stay tuned to learn more very soon. Within NAMES strategy to enhance and further develop network initiatives, services, and projects, the Executive Team is currently working on upgrading NAMES website, where resources, among other services, will be made available online. The online resources will include the outputs of ongoing and new initiatives and collaborative projects; such as: Success Stories and Starter Kits. Other potential initiatives and collaborative projects include: Museum Memories, Webinars, and Online Courses. I hope you have all had a successful and productive 2018, and that 2019 is an even better year for all of us! We are proud to report that NAMES took significant strides in 2018. The year’s highlight was our 6th Biennial Conference, which took place in October in Alexandria, Egypt; back where it all started 12 years before. The conference has noticeably developed, especially content-wise, since our first conference in 2008. Moreover, for the first time, we had two specialized Pre-Conference Workshops conducted by two of our valued Sustaining Members: Hüttinger and TalentS|KCA. 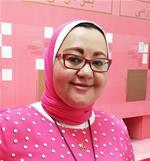 NAMES 2018 also marked the celebration of the second Mijbil Almutawa Award winner. Beyond NAMES 2018, we have been working on several important initiatives, projects, and services, within the network and with sister regional networks. One of NAMES most notable international roles is partaking in the International Program Committee (IPC) working on the organization of the Science Centers World Summit (SCWS 2020), which will be hosted by MIDE in Mexico City. The IPC is working hard on completely revamping the triennial conference, to make it a truly unique experience for science communication professionals from around the globe. Moreover, NAMES has been active in the International Science Centers and Science Museums Day (ISCSMD) since its beginning in 2016; in 2019, NAMES will have an even greater role in this initiative. 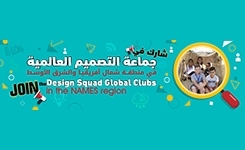 NAMES has also recently launched the regional version of the Design Squad Global Clubs (DSGCs) initiative; a unique chance for school student groups, 10-13 years old, to connect with the world! 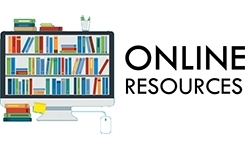 To give you a sneak peek at what is next for NAMES, we will soon be announcing the launch of the Online Resources Section on NAMES website, in addition to several other website updates that aim for better visibility and communication. The new section, ALDALEEL, will feature original, adapted, and translated contents for the benefit of the regional science communication field, especially NAMES members. 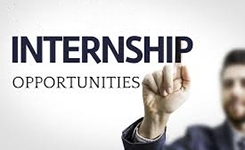 Moreover, NAMES members’ staff will soon have hands-on opportunities to exchange expertise in a meaningful manner through our new Exchange Internship/Training Program. A renewed capacity building opportunity is coming the way of NAMES members and other science center/museum and science communication professionals aspiring to become leaders of science centers/museums and science engagement organizations. That would be the already proven highly successful Euro-Mediterranean and Middle East (EMME) Summer School for Science Communication, in its 4th edition, EMME 2019, which will be organized by The Scientific Center of Kuwait in October. More information is available in this issue of ALMANARA and on NAMES website; further details will be shared on regular basis henceforth, so stay tuned! Once again, NAMES Team wishes you a Happy New Year and a fulfilling 2019! NAMES Biennial Conferences are a most valuable opportunity for members of the budding science communication community within the North Africa and Middle East region to come together to share experiences, challenges, and solutions; to network and mingle with members of the greater and more diversified global science communication community with its decades-worth of collective experience and knowledge. Our next conference, NAMES 2020, is scheduled to take place sometime within the last quarter of 2020. 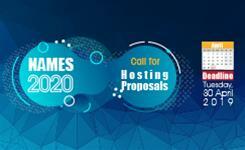 The Call for Hosting Proposals is open until Tuesday, 30 April; do not miss out if your NAMES member institution is interested and capable of hosting NAMES 7th Biennial Conference and General Assembly Meeting (GAM) according to the Hosting Guidelines and Procedures. We are pleased to announce that the Call for Applications for the 3rd edition of the Mijbil Almutawa Award Program (MAAP 2019) will be open soon; this year's winner will have the chance to participate in the EMME Summer School, which will take place 27-31 October in the capital of Kuwait. The winner of the MAAP 2019 receives USD 1000 (in the form of participation fees, roundtrip air ticket, and accommodation expenses) disbursed upon timely submission of all original receipts and required forms; the winner will also be presented with a Certificate and Trophy commemorating his/her win. Stay tuned for the Call for Applications Announcement. 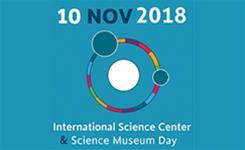 On 10 November 2018, NAMES members celebrated the 3rd annual International Science Centers and Science Museums Day (ISCSMD). 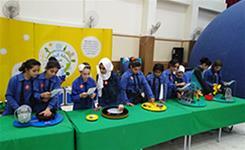 Under the theme of “Science, a Human Right”, science centers and science museums developed several activities, events, and workshops supporting the right for all citizens to participate in and benefit from science, to spark a global discussion on ways to improve access to science and the benefits of the Sustainable Development Goals (SDGs). NAMES network took an active part in celebrating the ISCSMD 2018 with the participation of 8 of its members in organizing different activities and scientific events; NAMES members were also featured on the official website of the ISCSMD, and marked on its worldwide map. To learn more about NAMES members' participation in the ISCSMD 2018, check this report. In 2015, the Children’s Museum Jordan—NAMES Full Member—started designing and developing interactive exhibits internally and locally; thus, getting involved in an emerging industry in the Middle East. The first locally designed and fabricated exhibit was launched in March 2018; introducing the subject of biodiversity in Jordan, it was developed through the skills of the Children’s Museum team and other national expertise. During the Ideation Phase, the Museum collaborated with the A.M. Qattan Foundation, Palestine, with the aim of exchanging expertise through a one-week workshop, where both teams brainstormed ideas and developed two exhibits. Click on the button to read the full success story.